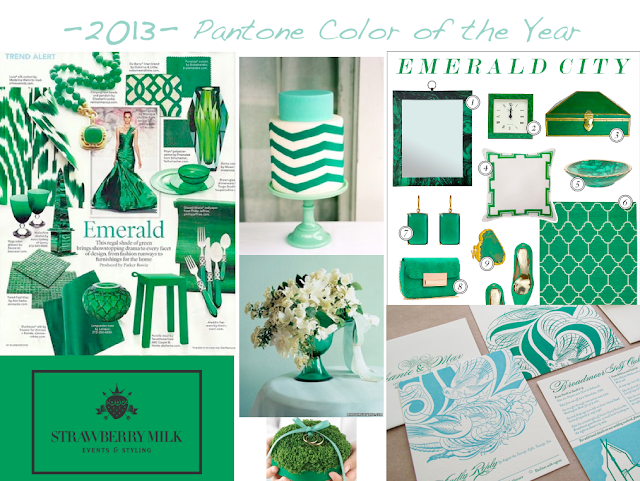 It's official - we're seeing green for 2013. You may think green is only appropriate for Christmas, St. Patty's Day or the Wizard of Oz - but when paired with the right color, you can use it anytime. We should be seeing the trend play out in fashion, interor design and weddings this year. 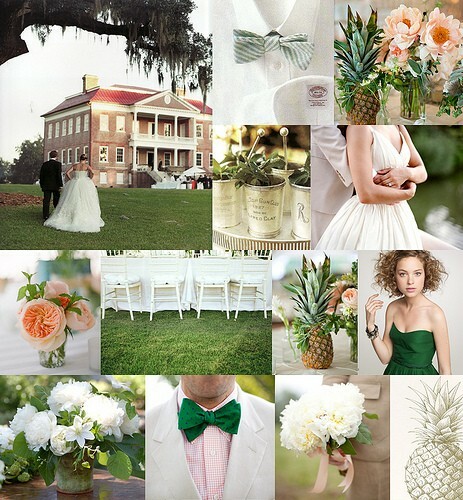 For weddings, we'd pair it with aqua in the spring or peach in the summer for an elegant southern soiree. What color would you pair it with? Also, check out our black and white art gallery chic shoot from this past year, which featured gorgeous emerald earrings and accents!